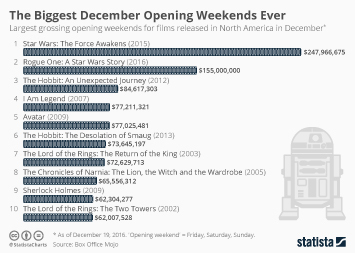 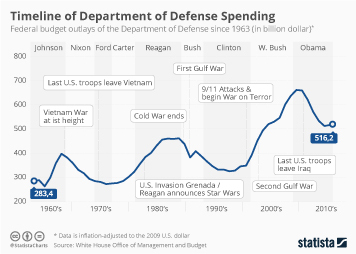 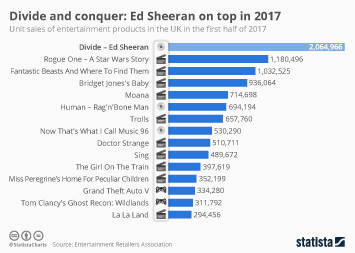 The upcoming Star Wars movie “Episode VIII - The Last Jedi” will be number eight in the science-fiction saga that has continually been capturing audiences around the globe for four decades now. 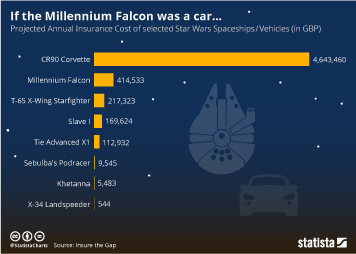 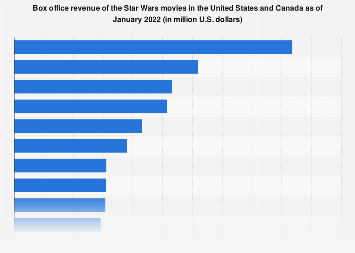 When the first Star Wars movie came out, the production costs were somewhere down at USD 11 million. 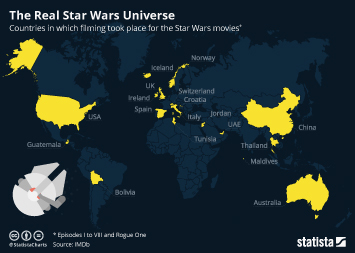 Seven movies and many, many successful showings later the making of the soon-to-be-released Star Wars movie took up USD 250 million in production costs. 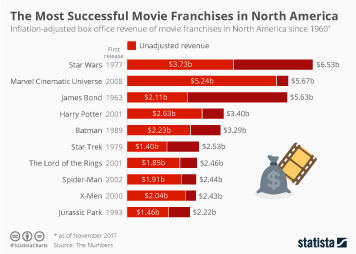 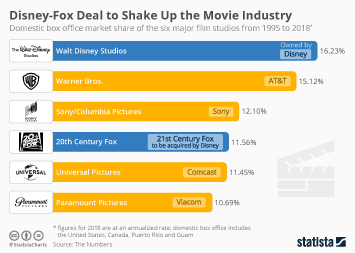 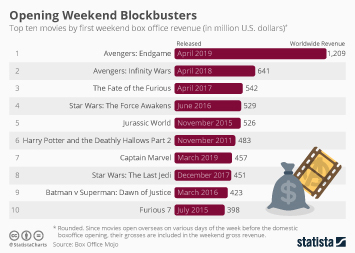 The sharp increase seems thoroughly justified as already the initial Star Wars movie made around USD 775 million in profits. 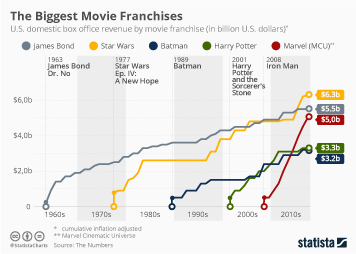 “The Last Jedi” is now expected to bring in USD 1.5 billion thanks to Star Wars devotees around the globe who don’t tire to visit their local movie theaters so they can transport themselves, if only for a few hours, to extraterrestrial planets, beings and wars. 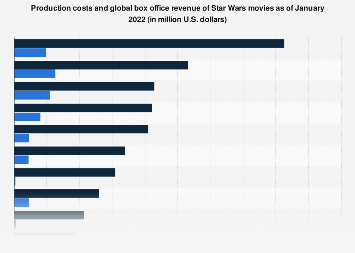 This chart shows the production costs and global revenues as well as revenues of the opening weekend in the United States for Star Wars movies from 1977 to 2017 in million U.S. dollars. 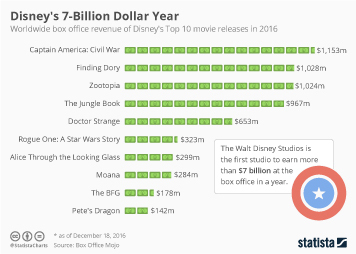 Disney breaks record for annual box office sales. 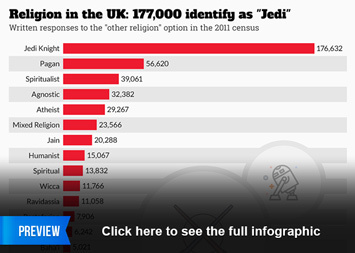 Religion in the UK: 177,000 identify as "Jedi"